It’s FRIDAY! Is it me, or did this past week fly by? It was a full week for me- Monday I went to San Antonio with my BFF and my cousin to see my favorite band, Shovels and Rope at Sam’s Burger Joint, and then on Tuesday, I got to celebrate one of my favorite’s birthdays- my grandmother, Meann. So, it was a week For Favorites For Faith (eehhh… see what I did there?! … FFF F to match this weeks fabulous postcard (forgive me. I am a dork.))! 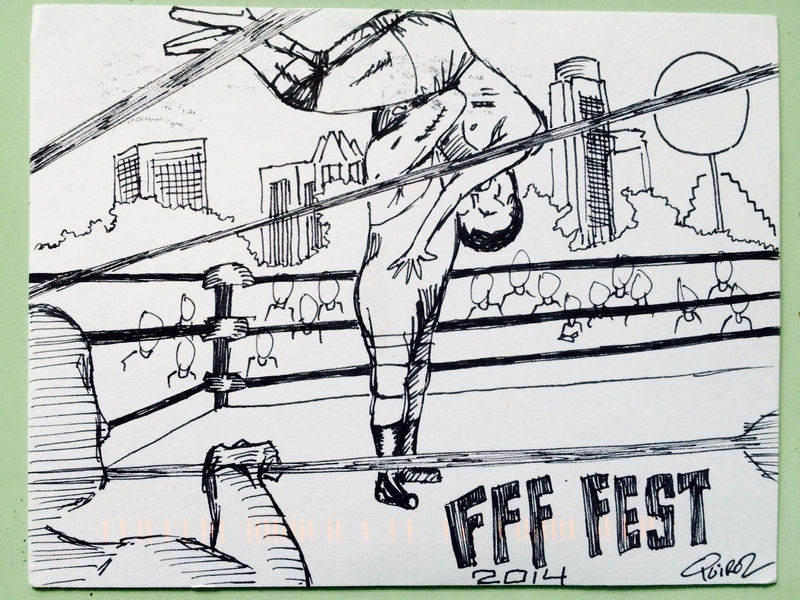 And speaking of… thank you, Michael Quiroz for this awesome card! (Check out his Instagram for more of his sketches @mikelangeloe). Any fun plans for the weekend? I’ll be gearing up for colder weather and the Super Bowl… up until about two weeks ago, I thought it was Nebraska heading to the Super Bowl, not the New England Patriots (… again. Please forgive me. I am a dork.)! I hope that whatever it is will be fun- y’all be safe out there and take care of each other.